HVO generally operates 24 hours a day, seven days a week. Under certain weather conditions, mining noise can be heard in neighbouring community areas from time to time. Haul truck engine and exhaust, track noise from dozers, and impact noise from the loading of material into trucks are some of the more commonly audible sources. 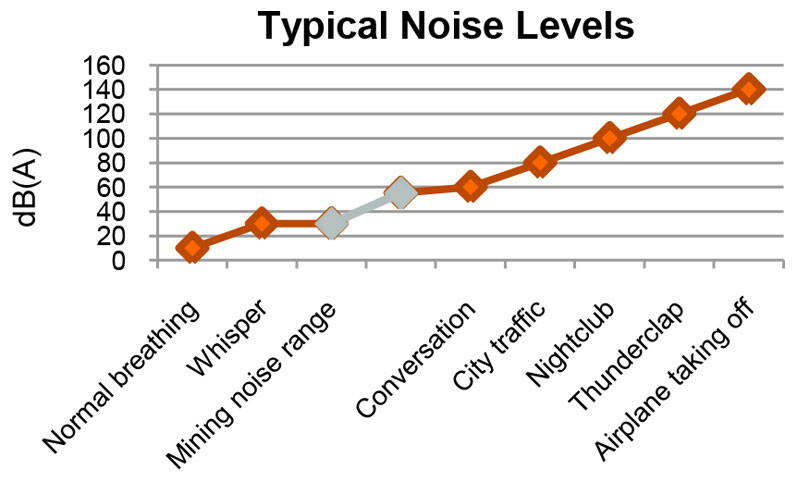 Metoeorological conditions have a significant influence on the propagation of noise from one night to the next. Prevailing wind conditions and the presence of temperature inversions affect the way that noise travels through the air and is experienced nearby. Compliance assessments are undertaken by specialist consultants on a routine basis. Monitoring is completed on a random basis, once per month at a number of locations surrounding HVO. The results of compliance monitoring are reported publically each month in the document library of this website. For more information on compliance assessment, please refer to the HVO Noise Management Plan. Noise emissions from open-cut mines are regulated regulated through the Protection of the Environment Operations Act 1997 (NSW). The NSW EPA's Noise Policy for Industry sets out the framework for the assessment and regulation of noise in NSW. Noise limits applicable to individual private residences are defined in the relevant Planning Approval, which also sets out the requirements for monitoring performance and reporting. You can find out more about how we manage noise impacts to ensure that levels do not exceed the specified criteria in the HVO Noise Management Plans along with supporting documentation in the websites Document Library.